Magical Meadows was created out of a love for horses and a belief that getting away from the noise and busyness of our everyday lives to connect with the natural world has the power to heal. 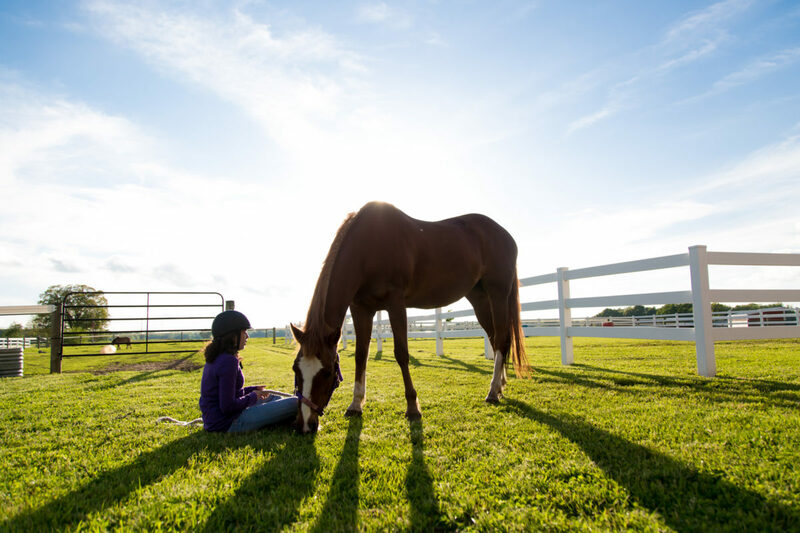 We exist to provide a natural space for those with physical, mental or emotional challenges, along with their families, to experience the healing power of horses. 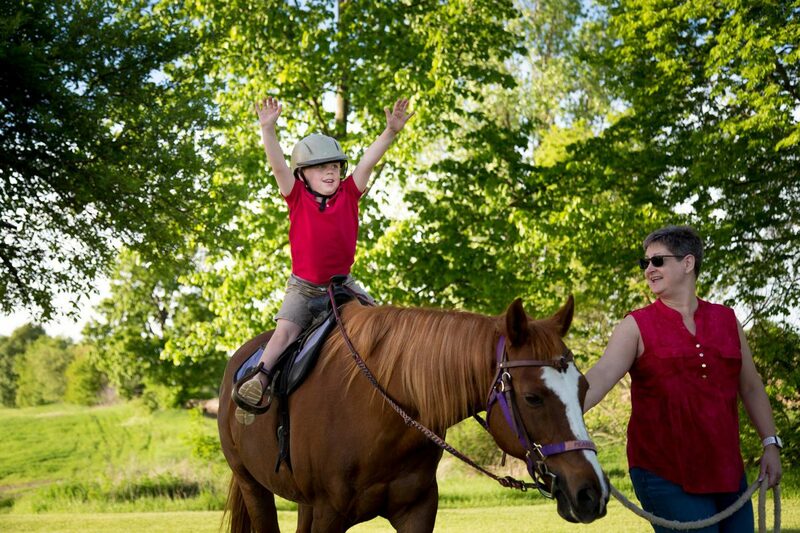 Therapeutic Horseback Riding has multiple benefits for our clients. 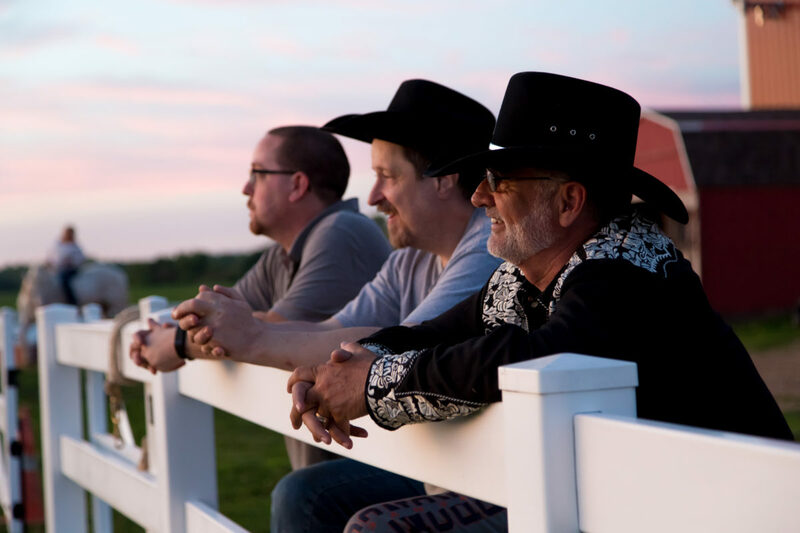 Through connecting with a horse, our clients can experience physical, mental, and social healing. When a person is on a horse, they experience three-dimensional movement (forward/back, up/down, side-to-side). This movement stimulates neuromuscular pathways and has the ability to affect nerves and muscles in a way that cannot be achieved using machines or traditional therapy methods. Riding a horse requires a level of trust most people don’t face during a normal day. Approaching a 1,200 pound animal can be intimidating for anyone, but when a person builds a relationship with a horse and gets comfortable with riding, special things happen within the brain. By trusting and interacting with a horse, many people experience a healing comfort that cannot be found elsewhere. In a society that often judges or marginalizes those who are perceived as different, a judgment-free interaction with a horse can have lasting effects. Horses don’t care about a person’s limitations or what they look like. Horses accept people for who they are, offering connection, cooperation and unconditional love for the people who learn to interact with them. Riders are accepted to our program based on an initial evaluation. We follow NARHA guidelines in accepting riders. It is important to us that we do not take riders who will in any way be harmed by the riding experience. Once accepted, goals are set based on the initial interview, and riders are then re-evaluated as needed. Rider progress is documented on a daily basis in order to best determine success with outcomes.